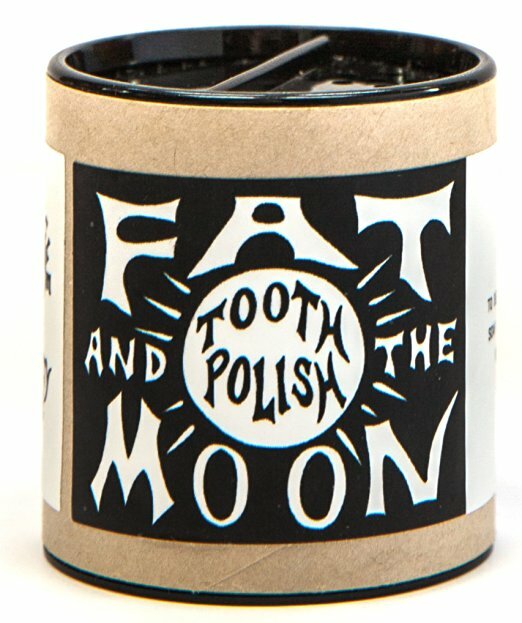 Fat and the Moon bring us the best whitening toothpaste. And things to be even better it is 100% natural product. Believe it or not, now you can have white teeth like movie stars on the fully natural way. We all know how is hard to keep teeth clean and white. We live in the modern time where stains are just gluing on your teeth. Coffee, sugar, cigarettes and even tea can make your teeth more yellow than white. So far the only working solution was to drop all these ingredients from your diet, and we know many people can not cut coffee or go to the dentist to polish your teeth. I m not trying to scare you, but teeth whitening can be pretty expensive. Prices move from 400$ to up to 1000$. Cost is dependable in the whitening procedure. Like in a true capitalistic world, the more money you pay, the better whitening results you get. If your teeth are very stained, you will most probably need more sessions with your dentist and that only means you will need to give more money from your pocket. You are probably wondering if there is a way to whiten your teeth at home since many of us don’t like to visit a dentist. Like you probably got the idea, you can use tooth polishers or teeth whitening toothpaste. You can also visit your dentist once, and he can give you teeth guard that you can wear during the night. But this procedure is also expensive. The most affordable teeth whitening method is by using teeth whitening toothpaste. The great product from Fat and The Moon just need to be used once per week or even once per two weeks. And the price is extremely affordable. Ingredients in this natural toothpaste are all organic. Kaolin clay, baking soda, organic myrrh powder, and organic peppermint essential oil. Tooth Polish contains no Fluoride, no Paraben, and Sulfates. And this toothpaste is made without any animal cruelty, so it is vegan-friendly. First, you need to check where are stains on your teeth. Then get the toothbrush and splash some of the tooth polish powder on it. Make sure your toothbrush is clean and wet. Now just go and gently use your toothbrush to polish your teeth with stains. After you are done with polishing rinse your mouth with water and your teeth will be white as those of movie stars. Fat and the Moon made a fantastic product that will help you get your teeth in more natural color. By using Tooth Polish, you will not harm your health in any way because toothpaste does not contain any hazardous ingredients. But you need to be careful; you should not use it every day since product description says to use this toothbrushing powder once every other week. Keep that in mind and your teeth will be white and healthy.